Learn what HomeworkNOW can do for you. Click the tabs below to learn about the many features and benefits of using HomeworkNOW as school to home communication solution for your class or school. If you are a PTA/PTO organization, you may use HomeworkNOW to create your PTA/PTO website for FREE! No strings attached. No advertising. HomeworkNOW would like to make it easier for parents to stay involved with their children's education. Our web service is used by thousands of schools as a means to communicate school and classroom information and announcements to parents and students. 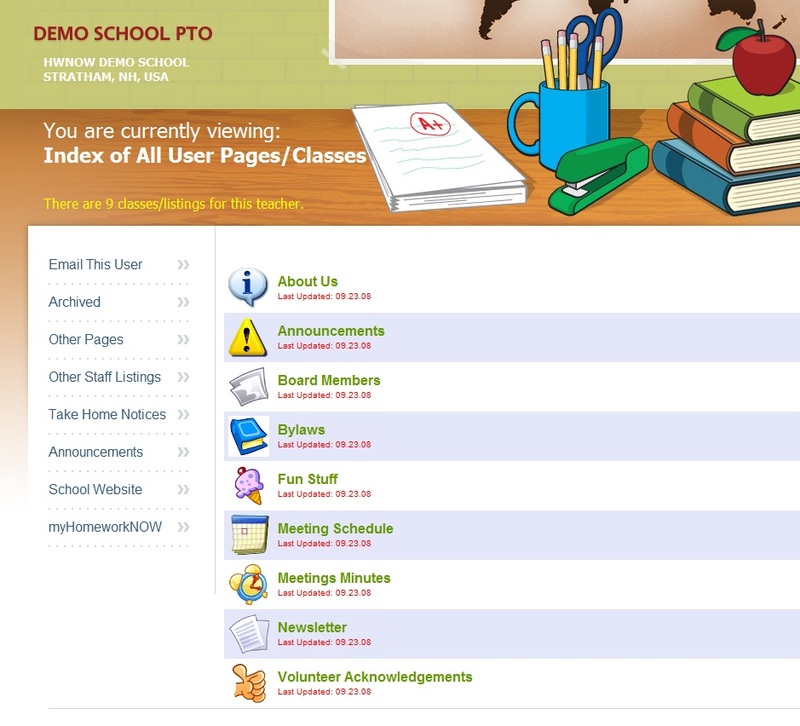 Parents can find your PTA/PTO site easily on My.HomeworkNOW.com. Additionally, parents can subscribe to receive notification through various communication channels from your PTO/PTA updates. (ie, User changes meetings schedule resulting in all PTA/PTO subscribers getting a message letting them know that the meeting schedule was changed, etc.). Content can also be viewed via the HomeworkNOW mobile apps, Facebook apps and much more. Communicate with parents everywhere! If your school uses HomeworkNOW already for school to home communication, your PTA/PTO link will be at the top of the school page on My.HomeworkNOW.com. Parents and students that use HomeworkNOW will have immediate visibility to your new PTA/PTO pages. Additionally, all school announcments such as school closings, etc., will be linked to your PTO/PTA pages. 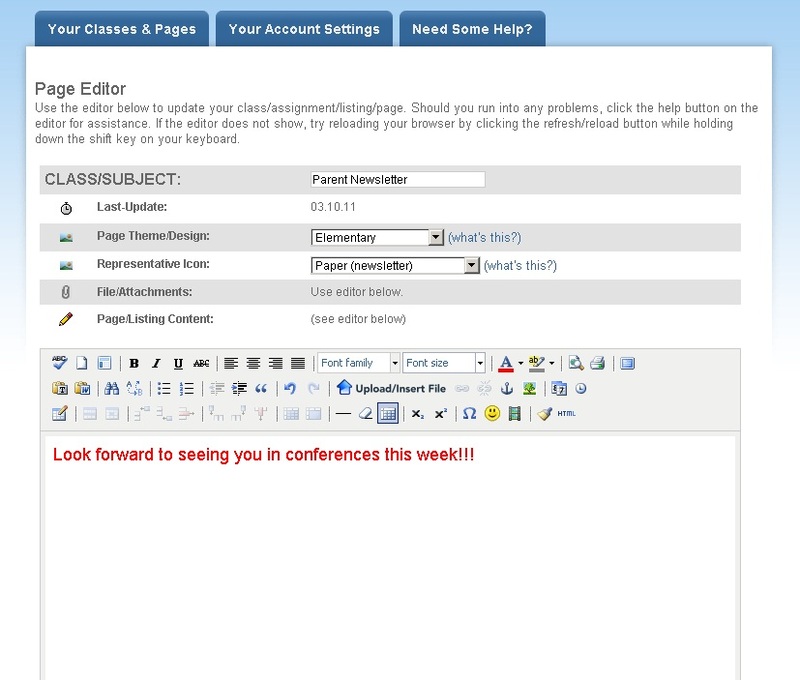 Make it easy for parents to get your content, especially if your school system currently uses HomeworkNOW.com. When you create a Parent-Teacher Group account on HomeworkNOW, common Parent-Teacher Group pages are already created for you based on recommendations from leading Parent-Teacher organizations. (Pages include: About Us, Announcements, Board Members, Bylaws, Fun Stuff, Meeting Schedule, Meeting Minutes, Newsletter, and Volunteer Acknowledgements). A what? If you don't know, WYSIWYG is short for "What You See Is What You Get." In other words, editing and creating content is easy. Customize your pages and content by adding links, images, video, documents, and much more. Do all this without even knowing HTML with the included editor! Supports all major browsers including Firefox, Internet Explorer, Safari, Chrome, Opera, and more! You can create your content in Microsoft Office products and copy them into your class/listing pages. Format, fonts, colors and more remain intact. Upload take home quizzes, pictures, parent consent forms and more! HomeworkNOW supports a wide variety of document types. Parents and students can contact your organzation directly through your organization pages. Parents and students also have the ability to upload documents. Gives parents the ability to go back in time to view older content. Shows a user how many times a class/subject page has been viewed. Click the link above to view all of the many Parent features when you use HomeworkNOW as your PTO/PTA communication solution. Ready To Give HomeworkNOW A Try?